Born and raised in Tbilisi, currently based in Amsterdam, Georgian pianist Nino Gvetadze leads a busy international career. Her performances have been praised by many critics throughout the Europe and Asia. 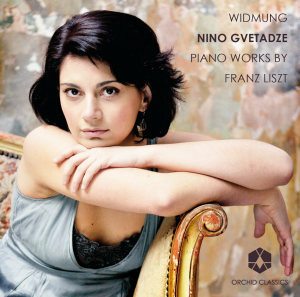 Nino received various awards, the most important were the Second Prize, Press Prize and Audience Award at the International Franz Liszt Piano Competition 2008. She became the winner of prestigious Borletti-Buitoni Trust Award in 2010. Nino Gvetadze has performed with many outstanding conductors such as Michel Plasson, Yannick Nézet-Séguin, Michel Tabachnik, John Axelrod and Jaap van Zweden and with orchestras such as the Rotterdam, The Hague, Brussels, Seoul and Netherlands Philharmonic, Bergische and the Rheinische Philharmonie, Münchner Symphoniker and Warsaw Philharmonic amongst others. She went on tour with the Mahler Chamber Orchestra, . Kammerakademie Potsdam and Amsterdam Sinfonietta. Nino has given various recitals all over the world, among those in Hannover (PRO MUSICA Preisträger amKlavier-Zyklus), Bayreuth, Herkulessaal and Prinzregententheater Munich, Wigmore Hall London, Bozar Brussels, Tonhalle Zurich, the Concertgebouw Amsterdam, with Jean-Yves Thibaudet at the Spoleto Festival, Lucerne Piano Festival, Bunka-kaikan Hall Tokyo, the Festival Piano aux Jacobins (Toulouse), Kuhmo Chamber Music Festival (Finland). In August 2017 Nino performed on famous Prinsengrachtconcert in Amsterdam, where she played chamber music together with Brodsky Quartet. Nino Gvetadze was featured in BBC4 documentary "Story of Music" and played Live on Dutch National Television on the instruments of Hector Berlioz and Vladimir Horowitz. ​Her repertoire stretches from Mozart and Beethoven to Chopin, Liszt, Debussy, Prokofiev and further to contemporary music. The St. Gallen Tagblat wrote: “absolutely thrilling ! ...poetry and Fantasy dominated indefatigably over the pure brilliance.." about her performance of Tchaikovsky’s 2nd Piano Concerto. In summer 2017 Nino Gvetadze signed with an international CD label "Challenge Classics". 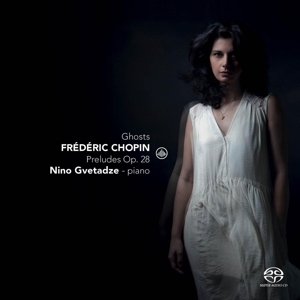 Her new album "Ghosts" Chopin 24 Preludes and selected pieces, will be officially released in October in Benelux and in January 2018 worldwide. Nino's previous CDs include : Piano works by Mussorgsky (Brilliant Classics), Rachmaninoff Preludes op 23 and op 32 (Etcetera), “Debussy” Préludes book I, Estampes and Claire de Lune (Orchid Classics) and “Widmung” Liszt piano works (Orchid Classics). Her recordings and interviews are often broadcasted on European radio and TV Stations. 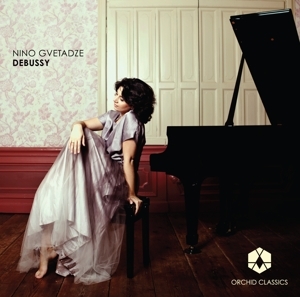 The Debussy CD was editor’s choice of the International Record Review (April 2014) and also of the Dutch National Radio and at Classic FM. 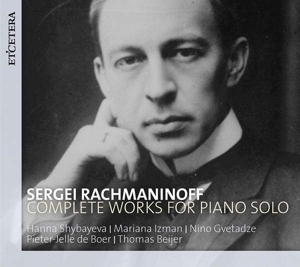 Nino´s recorded recital at the Sendesaal Bremen has been chosen for the “ARD-Radiofestival” (broadcast 31 July 2014). Nino Gvetadze studied in Tbilisi with Veronika Tumanishvili, Nodar Gabunia and Nana Khubutia. After her graduation Nino moved to the Netherlands to study with Paul Komen and Jan Wijn. Since 2008 Nino plays in "Arosa Trio" with violinist Frederieke Saeijs and cellist Maja Bogdanovic.